We just celebrated my elder girl, Alyssa's 7th birthday. The last birthday celebration we had for her was when she was 1 year old. This celebration was at the same venue with superb view at The Sail! There are 96 pieces of Aromantic sponge cakes made with our Macadamia Nuts Blended cooking oil with Inside Out Theme all wiped out during the birthday party! 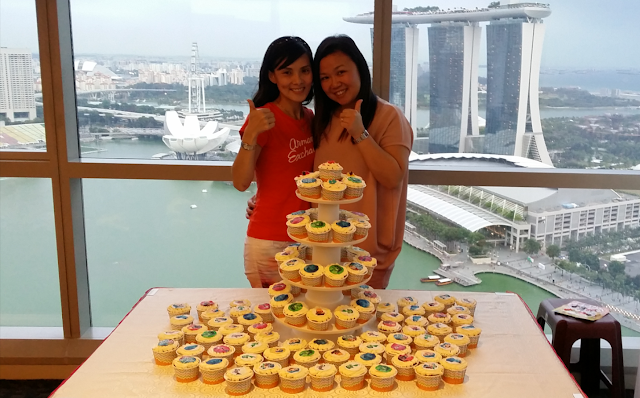 All thanks to my friend, Ivy who baked these lovely cakes for her. 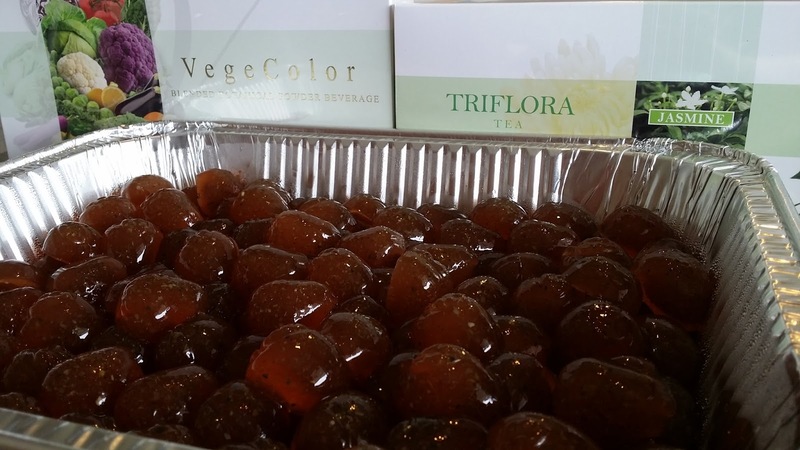 Next popular snack was the Triflora Vegecolor Jelly! All gone after half way through the party! This was very popular too and gone when the party wrapped up! I had overlooked a family who was vegetarian. 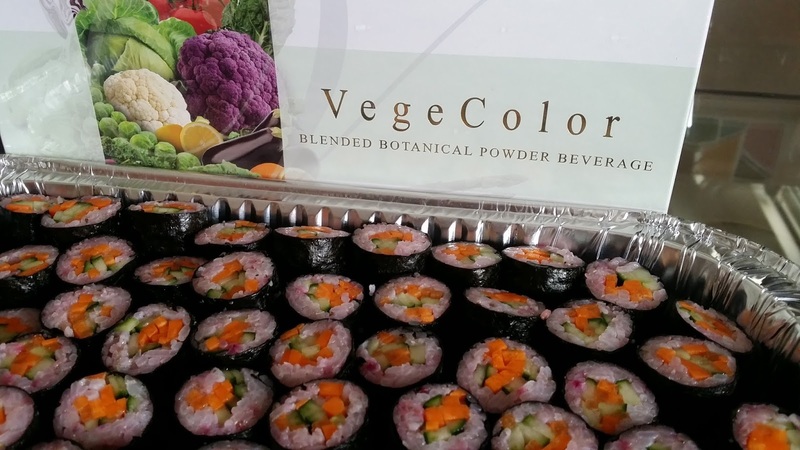 Thankfully we had Vegecolor Sushi for them. How to prepare Vegecolor Sushi in minutes! 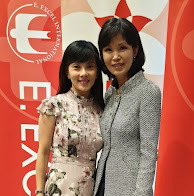 I am glad that i am able to make healthy snacks for my family and friends with our healthy fast food. Beside being nutritional, it gives great convenience too. Do contact me if you would like to find out more on our health snacks recipe.